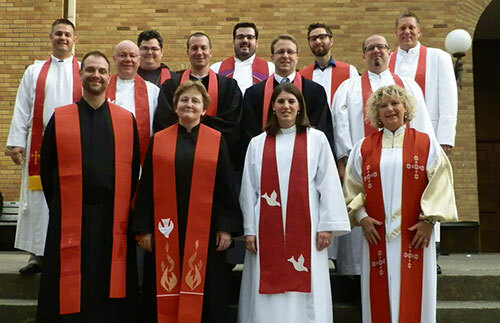 At Annual Conference in June, 13 elders and two deacons were ordained. The average age of those ordinands was 39 – the same as the average age of the six elders and one deacon ordained at Annual Conference 2013. Those figures stand in stark contrast to the findings of the annual Lewis Center for Church Leadership study of clergy age trends. Released in early September, the study found that the median age of active elders in The United Methodist Church is 56, which represents an all-time high. The East Ohio Conference is featured in a United Methodist News Service article summarizing the study. The conference played a role in the North Central Jurisdiction having the greatest gains in young elders last year.